The Triple-M Register is a part of the M.G. Car Club, one of the largest and longest established one-make car clubs in the world. The name derives from the ohc-engined MG Midget, Magna and Magnette cars built from 1929 to 1936 – hence ‘Triple-M’. For over 50 years the M.G. Car Club Triple-M Register has been looking after the interests of the pre-war overhead cam M.G. models and helping owners throughout the world keep their cars on the road. By maintaining a register of all known cars, we can preserve their history and provenance, whilst offering access to the best technical and spares expertise available anywhere. Whether you are already enjoying Triple-M ownership or just thinking about it, these pages will have something to offer you. By joining the M.G. Car Club you automatically become a member of The Triple-M Register and you can be sure that you are doing the best for your car. A detailed description of the purpose and operation of the Register, the guidelines applicable to listing and inclusion in the Register and the allocation of Register numbers are given on the ‘Register your Car’ page of this website. If you have any helpful suggestions or if you are having problems with this site please contact us (E-mail webmaster). 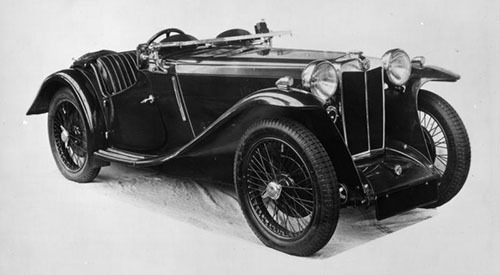 The Triple-M Register is a Register of the MG Car Club Limited. The Club has adopted privacy policies and procedures designed to meet the requirements of the General Data Protection Regulations which are now enshrined in the UK Data Protection Act 2018. You can read more about these policies and procedures on the Club's website at https://www.mgcc.co.uk/about/privacy-policy/ where the key aspects are explained Copies of the Club's data protection Policies and Procedures are available from the MG Car Club at info@mgcc.co.uk or from the Triple-M Register Secretary.